OnePlus smartphone users will no longer be able to use the Oxygen Updater app to download updates on their handsets. The Oxygen Updater app on Google Play is a useful app for OnePlus smartphone owners who want be on the latest OxygenOS versions. The Android app essentially pulls OxygenOS updates from OnePlus’ servers before they are available for download. Usually, OnePlus rolls out OxygenOS updates in batches, thereby taking up to a week make them available on some handsets. 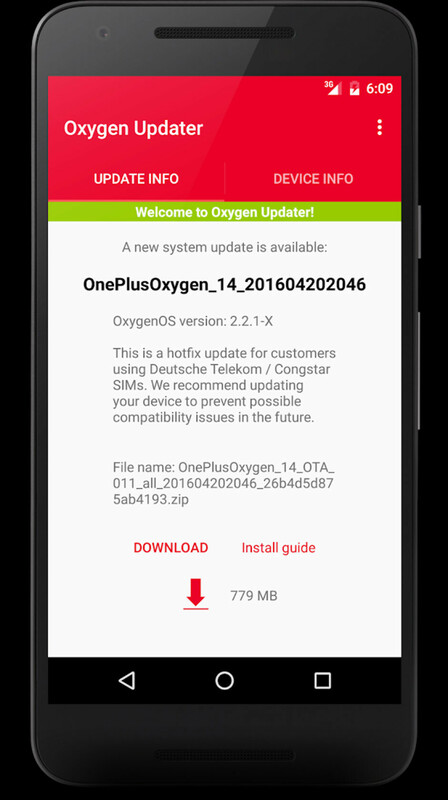 However, users of the Oxygen Update app may be able to download the updates as soon as they come on OnePlus servers. As per an AndroidPolice report, OxygenOS Updater app will not work on OnePlus smartphones starting today. The report says that the third-party app throws an error whenever it is opened. According to the screenshot of the app shared by the report, the developer says a back-end change by OnePlus has broken the app’s functionality. It also says that there is no fix for this as of now. The description does not clarify whether the developers of the app will work on the issue and relaunch the app in the future. Interestingly, the app’s listing on Google Play Store does not show any kind any information about the issue. According to the Google Play listing, the Oxygen Updater app has over 100,000 downloads. It is an unofficial app, and OnePlus itself provides manual OTA installation from the Settings menu. It was indeed a popular app among OnePlus users, and fans would want it to make a comeback. As of now, there is no ETA for a fix and OnePlus may or may not allow Oxygen Updater developers to make the app work again. OnePlus recently launched its second flagship of 2018 – OnePlus 6T. While it just went on sale, users have already started receiving a new OxygenOS update from the company. The latest OxygenOS update brings improvements to Nightscape mode, adds Studio Lightning feature to the camera, introduced new navigation gestures, and brings along November security patch as well. Also, OnePlus 6₹ 34,999 is now receiving the same OxygenOS 9.0.2 update that brings a bunch of features recently debuted along with the OnePlus 6T.